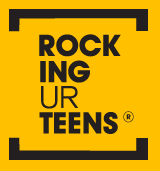 Girls attending the Rocking Ur Teens Conference on 8th March, 2016 are in for a treat. Sharlene-Moniqué will be leading a Vocal Empowerment session. Sharlene-Moniqué works with award winning Choir Director (& judge from the 2015 BBC 2 show ‘The Naked choir’) Karen Gibson. She Leads gospel choir workshops all over Europe, such as Latvia, Denmark, Italy and Norway. Sharlene absolutely loves dancing and has performed and taught in the UK, Europe and America. Sharlene is also a speaker, fashion and empowerment blogger based in London. So Sharlene, what’s important to you? Empowering and encouraging people to be their best selves. I spent many years from my teens, well into my twenties not embracing my uniqueness. I am passionate about people realizing that out of the 7 billion people on this planet they have something to offer the world that no one else can. I use my blog as a platform to express that. Why are you providing a session at the Rocking Ur Teens Conference? and are thriving in their respective careers. I am honored to be a part of something that is building and will empower the next generation.